What happens when you see a need and need help to fix it? Do it "Merry Larry" style and shine some light on the situation so everyone sees it. Check out this review of "Merry Larry and the True Light of Christmas". Larry The Cucumber is a Christmas elf at the Spring Valley Mall who just wants to spread joy at the holidays. When he meets a little girl with a big heart whose only Christmas wish is to help a friend in need, "Merry Larry" sets off on adventure that will light up the holidays like never before and show the town of Spring Valley what Christmas is all about - "Christmas shines most bright and true when you give the love God gave to you!" Featuring the newest veggie tale character Silas the Okra voiced by Si Robertson from Duck Dynasty. It also has my favorite singer TobyMac singing "Light of Christmas". If you know our family we are a long time Veggie Tales fans. We love that both the adult and the child can get meaning from each video. "Merry Larry and the True Light of Christmas" does just that. Larry teaches us that we are often blind to the suffering of others and people in need going around us. He reminds us to look around and seek ways to share the light inside us with others this Christmas. It also shows our children the power of one little girl who chooses to really love her neighbor by trying to raise money on her own to help. It teaches us to do what we can and let that inspire others to help with larger needs. Whether it be taking someone a meal or as simple as loaning a pencil to a kid in class, everyone can show God's light inside of them. This video is now one of my favorites. How to get "Merry Larry and the True Light of Christmas"? You can also purchase it from the Veggie Tales Website and via Amazon. 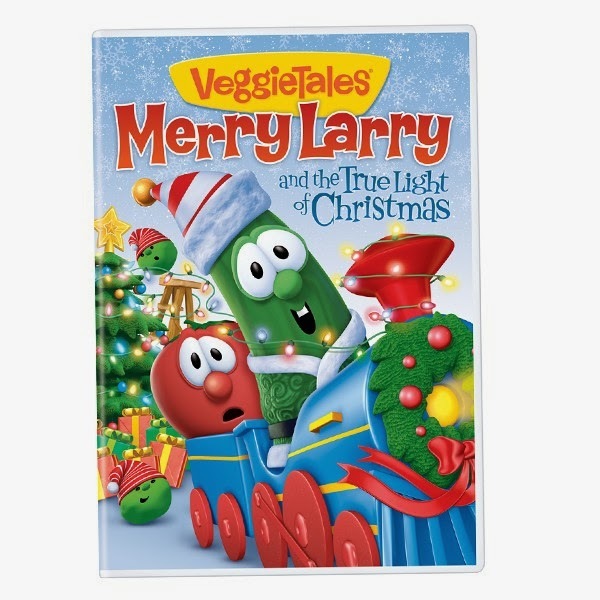 Check out the other Christmas Veggie Tale Movies Available.